There is a certain amount of risk inherent in all workplaces. However, care homes are often particularly challenging work environments due to the vulnerable nature of those who reside in them. Below, we take a look at how Health and Safety in care homes can be managed and what you need to know in order to do so successfully. A comprehensive reporting process is necessary if workplace Health and Safety is to be improved and lessons learned from incidents. Certain incidents need to be reported under RIDDOR. The key piece of legislation in this respect is the Reporting of Injuries, Diseases and Dangerous Occurrences Regulations 2013. It provides a detailed list of situations in which a report must be made. These include the work-related death of any individual, specified employee injuries, employee absenteeism that exceeds 7 days due to a work-related injury, a resident, patient, or visitor being injured and taken directly to the hospital, and the diagnosis of certain occupational diseases and certain dangerous occurrences. It also details who is responsible for reporting an incident in various different circumstances. Every day moving and handling activities are responsible for a disproportionately high percentage of workplace injuries. 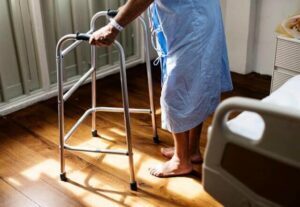 In order to effectively deal with health and safety in the care homes, there are a number of unique, industry-specific considerations. Employers have a duty of care to ensure employees are trained in safe manual handling techniques and to ensure manual handling risk assessments are carried out. Can a resident support themselves? What can they do independently and when do they require help? What type of equipment do they need? Care homes utilise a large amount of healthcare-related equipment that requires specific knowledge and training to operate safely. This includes the hoists used to move residents safely from place to place, bed rails, wheelchairs, transfer boards, and evacuation equipment. A risk assessment should be carried out for any new piece of equipment introduced into the care home and staff then trained as to how to use it correctly. Due to the nature of the work carried out by care home professionals, violence and aggression is unfortunately often a concern. All incidents in which a member of staff is “verbally abused, threatened or assaulted by a resident or member of the public” should be reported, even if they do not result in injury. 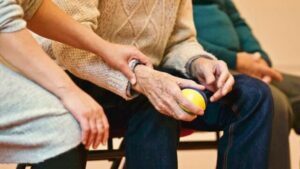 Though this type of violence or aggression may be more common in a care home than other work environments, it should not be treated as just part of the job. Instead, these risks should be monitored, managed, and reduced. Key to managing these risks is identifying the causes of challenging behaviour or violence. Understanding the complexities and unique characteristics of particular work environments is essential to developing an effective Health and Safety policy. The information detailed above should provide the foundations on which you can begin building an adequate response to concerns over Health and Safety in care homes. You can also seek advice from Care Home Health and Safety specialists.